Budget 2018 has not talked about reducing subsidies and increasing investments in the agriculture sector. The story of agriculture, which is the backbone of the country in terms of livelihood, has not been good in the last few years. Recent estimates of the Central Statistics Office (CSO) show that growth of gross value added (GVA) in agriculture declined from 6.3% in 2016-17 to 2.1% in 2017-18. In fact, the average growth rate of agricultural GDP (gross domestic product) in the last four years (2014-15 to 2017-18) was only 2.2% per annum. The Economic Survey, 2017-18 also indicates that the level of agricultural GDP and real agricultural revenue has remained constant in the last four years. In this context, there were a lot of expectations that the budget would focus on the agricultural sector. The Union finance minister has not disappointed the farm sector. Rightly, the government is focusing on farmer incomes rather than production. Among other things, the most important thing farmers want is remunerative prices for their produce. In this context, a minimum support price of 1.5 times the input cost of farmers for all the unannounced kharif crops, announced in the budget, can help increase their income. The budget is, however, not clear on the resources needed and how this is going to be implemented. The government also wants to help farmers in case there is a difference between minimum support price and market price. At the state level, Madhya Pradesh and Karnataka are experimenting with these payment systems for farmers. Under the Bhavantar Bhugtan Yojana, Madhya Pradesh pays farmers the difference between the official minimum support price and the average modal or most quoted rate in markets for any crop. Similarly, Karnataka gives a Rs5 per litre incentive to milk farmers, over and above the rate that dairies are paying. 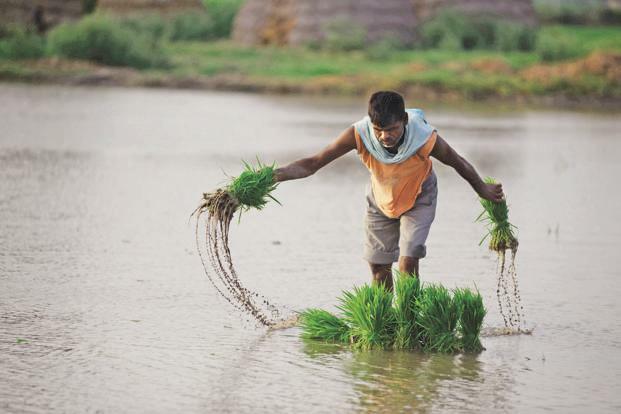 The Telangana government has decided to pay Rs4,000 per acre to farmers twice a year. Is the Central government thinking of such price-deficiency payments at the all-India level? It is not clear from the proposal in the budget. Another important measure relates to marketing. The distortions in the agricultural produce market committee (APMC) system are well known. They have to be corrected. The value chain runs from production to procurement, storage, wholesale, retail sale, packaging, distribution and processing. The proposal for developing and upgrading the existing 22,000 rural haats into gramin agricultural markets and the institutional mechanism in the budget would be useful in this regard. Similarly, the cultivation of horticulture crops in clusters would promote the value-chain approach to production and marketing. Another important announcement for diversification is the setting up of a fisheries and aquaculture infrastructure development fund (FAIDF) and animal husbandry infrastructure development fund (AHIDF) with a corpus of Rs10,000 crore. Similarly, doubling the allocation for the food processing sector, from Rs715 crore to Rs1,400 crore, is welcome, although it is not enough. India processes only 10% of its fruits and vegetables, as compared to 40-70% in many other countries. Small and marginal farmers constitute 85% of all farmers. Farmer producer companies can help them achieve economies of scale. Therefore, the budget announcement of 100% tax deduction for them would help in the better functioning of these institutions. Apart from these measures, the announcements for the health sector and rural infrastructure will also help the agriculture sector. For example, the national health protection scheme to cover over 100 million poor and vulnerable families, providing coverage of up to Rs5 lakh per family, can also help farm families. The measures announced in the budget may not be enough to double farmer incomes by 2022. The growth rate of farmer incomes between 2003 and 2013 was only 3.1% per annum. If you want to double farmer incomes, growth should be more than 10%. The measures mentioned above may not be enough to achieve such high income growth. The budget has not talked about reducing subsidies and increasing investments. Investment in agriculture, as a share of gross value added in agriculture, declined from 18.2% in 2011-12 to 16.4% in 2015-16. This was due to a decline in private investment in agriculture. In fact, the Economic Survey says that it “requires radical follow-up action, including decisive efforts to bring science and technology to farmers, replacing untargeted subsidies (power and fertiliser) by direct income support, and dramatically extending irrigation but via efficient drip and sprinkler technologies”. The Survey also suggests that climate change might reduce farm incomes by up to 20-25% in the medium term. We need climate-resilient agriculture and the budget is silent on climate change and natural resource management. It should also be noted that income from farming is not enough for farmers. In fact, some people say that the solution for agriculture lies in rural non-farm sectors and urban jobs being promoted so that those working in agriculture can gain from off-farm employment. To conclude, the budget proposals for the agriculture sector are in the right direction but may not be enough to revive the sector and double farmer incomes. As someone said: “There are decades when nothing happens but then there are weeks when decades happen.” Hopefully, public policy will show some urgency in revitalizing agriculture and not take decades to increase farmer incomes.